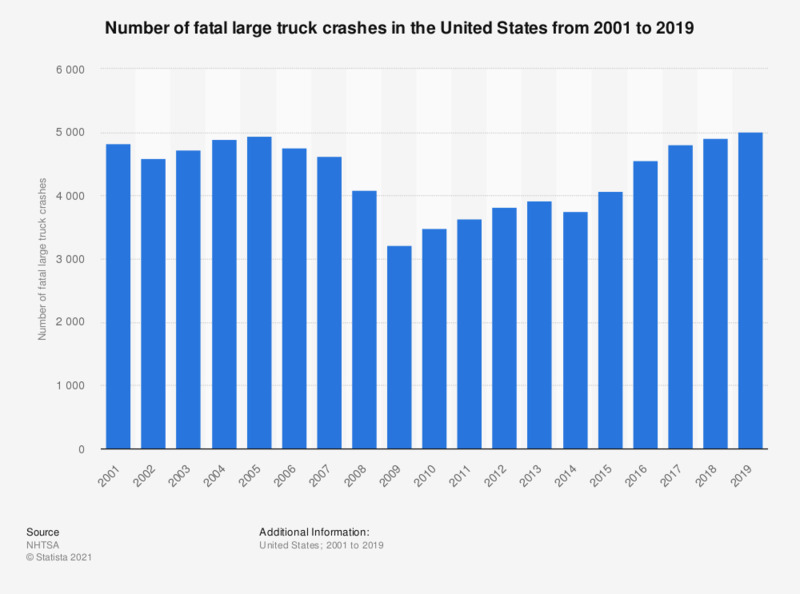 This statistic represents the number of fatal large truck crashes in the United States from 2001 through 2016. In 2016, 4,213 fatal crashes of large trucks occurred in the United States, which is significantly lower than the 20,069 light truck crashes that same year. Select "Table 36" on the corresponding link.